Get ready to oohh and aahh at newly renovated The Westin Hapuna Beach Resort. Just in time for the Big Island Chocolate Festival (April 26 – 27), Hawaii Island’s only Westin resort features the iconic Heavenly Bed, an all-new adults-only infinity edge pool, enhanced family pool area, reimagined guest rooms, suites, and so much more. Chocolate Lovers Room Package: Enjoy two VIP tickets to the Saturday night gala (including reserved VIP seating, fine wine bar and early entrance to the gala) and a partial ocean view room on the night of April 27th. Chocolate Festival Room Package: Two general admission tickets to the Saturday night gala and a partial ocean view room for two for the night of April 27th. Two-Night Chocolate Infusion Weekender Room Package: This chocolate dream weekend includes two tickets to the “Chocolate & Organic Tequila Pairing” (evening of 4/26) and two General Admission tickets to Saturday gala (4/27) and a partial ocean view room for two on the nights of April 26 & April 27. The new resort features there are four new culinary concepts — including Meridia, a Mediterranean inspired restaurant; Naupaka Beach Grill, a fun and casual dining experience serving Pacific Rim cuisine, with an extensive list of local brews on tap; outdoor seating for breakfast at ‘Ikena Landing, and Piko Coffee + Bar, serving 100-percent Kona Coffee. In addition to the above luxuries there are private cabanas and chaise lounges at poolside, a CrossFit Studio, fitness partnerships with Peloton, TRX, and the brand’s signature WestinWORKOUT® fitness studio with state-of-the-art equipment. 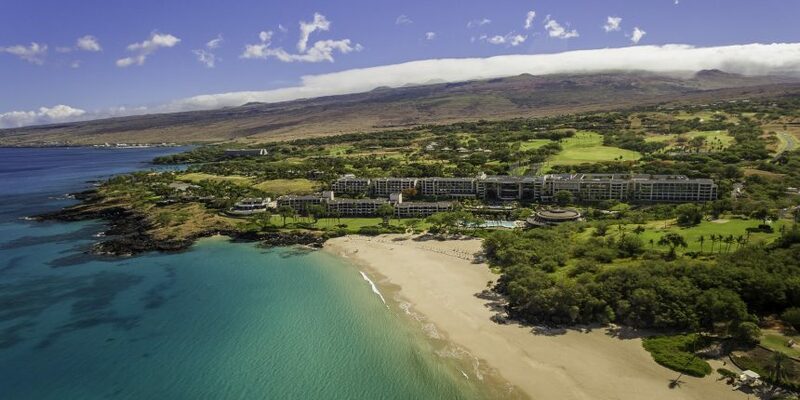 The Westin Hapuna Beach Resort joins sister property Mauna Kea Beach Hotel on the greater Mauna Kea Resort property, and remains owned and managed by Prince Resorts Hawaii. Hurry and book one of our fabulous room packages now at www.bigislandchocolatefestival.com/tickets.